I recall when I was a small boy, we had a geography lesson where we learned that, in ancient times, people believed that the world was flat and that if you sailed too far, you would actually sail right off the edge. 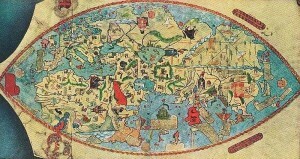 In my geography text book was a map (purportedly like those from ancient times). 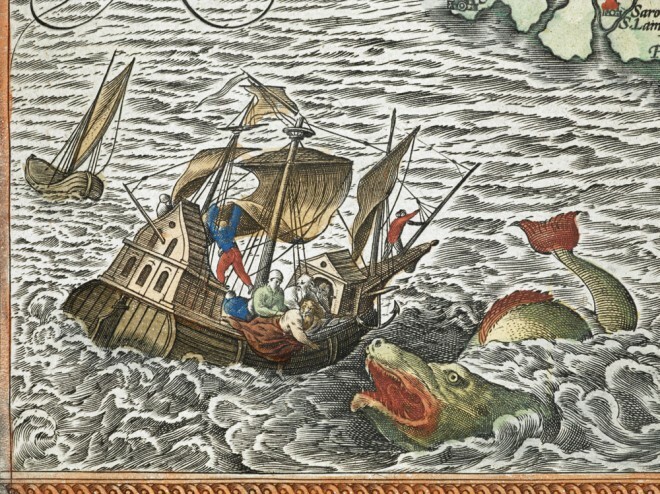 I remember there were lots of wonderful little illustrations on the map ….. buildings and trees on the land and, in the sea, sailing ships, monsters and sea serpents! Where the sea ‘ended’, it appeared to be flowing over the edge and there was an ancient ship, about to helplessly fall into the abyss. Close to the edge of the sea were inscribed the words “Here Be Dragons”. 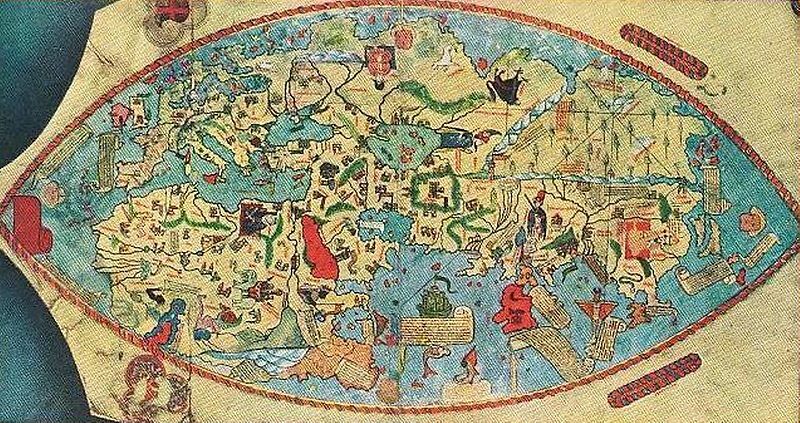 I don’t recall much about that particular geography lesson but I DO remember that map. It quite fired a little boy’s imagination. In the 6th century B.C., Pythagoras apparently started to tweak that the earth was probably a sphere, despite the fact that his belief flew in the face of the conventional wisdom of the day. By about 240 B.C., a really clever Greek bloke called Eratosthenes had even calculated the Earth’s circumference. Despite the mounting evidence discrediting the flat earth theory many people continued to believe that the earth was flat, based on ‘conventional wisdom’. It took a very long time for the concept of a spherical Earth to firmly usurp Flat Earth’s place within the body of conventional wisdom. Even then, a few odd bods continued to believe in the flat Earth notion, with a couple of notable individuals still banging the Flat Earth drum as recently as the late 1800’s. Back in the 1500’s, a clever Polish mathematician and astronomer called Nicolaus Copernicus came up with a theory that the Earth and other planets in the solar system were orbiting around the sun. This was totally at odds with the conventional wisdom of the day. The Church, which was a major power in the lives of the people, enforced the belief that the earth was at the centre of things, with the sun revolving around it. A little later, an Italian scientist and inventor called Galileo Galilei found himself in a nasty tangle with the church, because he agreed with Copernicus. The Church Gurus forced Galileo to renounce his beliefes, despite the fact that all of the evidence of his observations confirmed the theory of heliocentralism. “Never mind the evidence”, concluded the Church. “It is contrary to scripture (which we have studied pretty closely) and is therefore incorrect ….. heresy, even!” The Church put a censorship ban on books by Copernicus and Galileo, least their views gain traction with the masses and make the Church look … well …… wrong! My, what a different world we live in today. A wiser world. A more enlightened world. We have radio and airplanes and space travel. And we have the internet. The Internet has provided many of the world’s ordinary people with something they never had at any previous time in history …. access to information. We also have access to each other, regardless of geographical boundaries or vast distances. Its a wonderful time in history for ordinary people and its a wonderful time for sharing. One of the many platforms that people use to share on the internet, is something called a ‘forum’. There are forums on all manner of things. Intellectuals have forums where they discuss lofty ideas, the arts, scientific breakthroughs and political science. Hot rod enthusiasts have forums where they discuss the latest trick painting techniques, engine upgrades and suspension mods. Hate Groups have forums where they share their hatred of other races, other nations, other political views or anyone who doesn’t have a bald head, tatts and a goatee …. and that includes the women! Anglers have forums where they discuss fishing lore, new products, ‘new’ fishing destinations and the latest fads in bait and lures. There really is a forum for just about anything you can imagine; several to choose from on many subjects. It’s all kind of wonderful. Despite the infinite variety of interests catered for by internet forums, they all seem to subscribe to a common Raison D’etre; namely the sharing of information for the mutual benefit of all their members. That is, they SEEM to share that common goal. But before you go sailing off into this wonderful cyber sea of information sharing, let me sound a word of warning. There be Dragons Here! What am I saying? It is really quite simple. Given the almost universal stated goal of cyber forums … the exchange of information between members for the benefit of all, you could be forgiven for thinking that everyone who joins a forum does so, in the hope of participating in a two way exchange of information. And that the purpose of that exchange is to further the knowledge of all participants. You could be forgiven alright …. but you’d still be wrong! It’s true that some people who join forums, do so with this goal in mind. But there are many reasons why people participate in these groups. And they are all the same reasons that people involve themselves in any group situation. Some people do it because they have a need to ‘belong’. Some do it because they hope to gain the attention and admiration of their peers. Some do it in the hope of simply taking from the transaction, without ever contributing anything. Some just like to see their name in print or just want to be acknowledged by others. While the motivations might vary, there are some aspects to forums that you need to be aware of and there are some simple ‘rules’ that will keep you out of trouble. And yes, it really IS possible to get yourself into trouble in an internet forum. 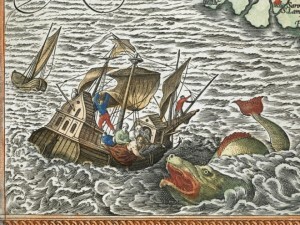 So let me give you a quick guide to the monsters that swim in the forum sea and a little guidance on how to best survive an encounter with one ….. or a school of ’em. 1. The Participant …. This person just joined the forum believing the blurb about the exchange of information and the mutual benefit concept. They will openly share what they know, share what they discover, share what they believe and usually include a warning disclaimer, alerting you to the fact that they are only sharing an opinion which might be wrong. They are rarely a threat to any of the other creatures in the sea and can even provide some helpful information. They occasionally fall victim to Gurus, either through behaviour which is perceived to be threatening, or because they fail to pay ‘homage tax’. A simple thank you is NOT homage tax. Homage tax involves public ego stroking and sucking up to a Guru. Participants neglect this at their peril. 2. The Lurker …… a rarely seen or heard from critter. They will download whatever you upload but you’ll never really know they are there. They’re kind of like plankton in the real ocean; very necessary to all of the other life forms, but rarely noticed. Lurkers are mostly motivated by a lack of anything better to do. 3. The Guru …… Beware! This guy or gal knows a thing or two. They have invested a whole lot of effort in achieving a high level of credibility amongst the forum community. Probably belong to a number of different forums in the same subject area and almost invariably can be found pontificating with authority on EVERY aspect of your forum’s interest area. They don’t ask questions. They only answer them. Gurus posess a formidable arsenal of conventional wisdom on the forum topic and can become aggressive if threatened. The safest strategy in dealing with a guru, is to ask lots of easy questions (respectfully) and to gush lots of gratitude and admiration when you get a response. Gurus, react agressively to any perceived threat to their station. Threats include thinking out of the box, uttering views which are contra to conventional wisdom or …. disagreeing. 4. The Disciple This person shares a strange symbiotic relationship with a Guru. They have invested considerable time and effort into ego stroking and sucking up, to earn themselves a special place under the wing of their Guru. They may not know much and might never personally share information with the rest of the group. They can usually be observed asking Dorothy Dix questions (for response from their Guru) or gushing praise and admiration after receiving such a response. They display a considerable pride in their association with their gurus. They will ignore information that is proferred by non-gurus. Normally placid, they can become extremely aggressive when they perceive a threat to their personal Guru. Whilst they rarely hunt alone, if you are chewed up by their Guru, they will gleefully feed on the remains of your mangled carcass. 5. The Thought Nazi. This person is extremely dangerous. Normally invisible, the first indication of their existence will be when you make a statement which is not in accord with the beliefs and standards espoused by the group’s Gurus or if you make any statement which indicates thinking out of the box. They do not contribute actual information to discussions. Their only purpose is to gore participants who attract their attention by stepping out of bounds. After they have belittled, insulted and berated you, they will apply to admin, to have you banned for insulting, belittling or berating behaviour. 6. The IMHO member, A seemingly harmless species who’s contributions invariably include a statement that they don’t really know anything and that they don’t quite understand the issue being discussed, They will then destroy an entire conversation by inserting their very strong views on their (mis)interperetation of the issuse under discussion. They will end by expressing a desire for all members to just ‘get along’. While not of any real significance to the forum’s raison d’etre, this guy or gal will generally declare a current discussion in which they’ve not been involved, to be over. They will then suggest in condescending terms that it has been done to death and that the participants need to get a life. Of course, if they had one themselves, they wouldn’t be making that post. While I haven’t been sailing the forum sea for anything like as long as some old salts, I do feel that I can provide a few worthwhile tips that might help a would be mariner to avoid becoming fodder for some of the internet forum denizens. Lurk. If they can’t see you, they can’t eat you. NEVER answer a question if you can find the answer on Google in two minutes. These questions are intended for Gurus only and your impertinence will be severely punished. If you see an interesting question to which you happen to know the answer, DO NOT ANSWER. If you can’t help yourself, send the enquirer a private message with the answer. You might be of some real help and, if not, you haven’t exposed yourself and can’t be perceived as a wannabe guru. NEVER state a personal opinion. Only Gurus have earned the right to have opinions. Wannabe Gurus are a threat which will be immediately set upon. Ask plenty of dumb questions to which you already know the answer. The Gurus will love you and other members might even be encouraged to participate. Give praise and admiration in sickly, effusive abundance! There is no food that a hungry Guru will appreciate more. NEVER offer evidence in support of your beliefs. Gurus and their minions are immune to the barbs of evidence, regardless of how irrefutable or obvious it might be. Attempts to proffer such evidence will be taken as a direct threat to the authority of the all knowing ones. NEVER make a claim, no matter how obvious or true, that doesn’t accord with what the majority accepts as gospel. Gospel, is whatever the resident Gurus say is so. Start every post with a denial that you know anything at all and that you are only offering your humble opinion ‘for what it’s worth’ ……. then go for the jugular! Above all, avoid falling for the Galileo trap. No matter how right you are, you will be excommunicated if you don’t agree that the Gurus are right. Most importantly, NEVER question that Cyber Space is flat. 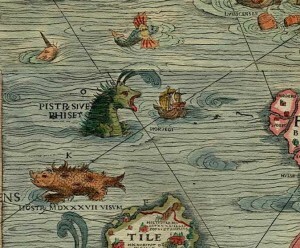 There is no map but believe me ……… Here Be Dragons! Hello Maria, I’m glad you enjoyed my article. Thank you. I rarely ever participate in online discussions on the various forums that I have membership to. I try to contribute by sending private messages to specific members. That way, people who genuinely want information are able to obtain it without me becoming involved in the pointless politicking that seems to be a feature of many forums. My pet hate is receiving multiple emails every single month, reiterating ‘the rules’ of these forums that I don’t actually post to. The ego’s of some of the folk who live inline is really breathtaking!